Jan 18th Game News Roundup - CryptoKitties in AUGMENTED REALITY, Etherions reimburse victoms of ponzis, Age of Rust Beta, and MORE! Looks like some augmented reality and virtual reality tools are in the works for your CryptoKitties! Check out http://cryptokittiesvr.co/ and the video they uploaded. They show off the augmented reality possibilities with CryptoKitties and talk a bit about what they think is possible in the future for crypto assets. Slothicorn wants you to share what ‘slothicorn’ means to you. CryptoZombie coding lessons are now available in Chinese! STEEMPUNK-NET has another update for us highlighting their art contest, the new dice bot they put up that anyone on steemit can use, and a timeline for their housing feature! Go Steempunk go! Robot Cache is building a decentralized video games distribution and resale platform, with their own ERC-20 token called IRON. Could this post be the beginning of us owning cute little pixel pets on steemit? Hope so!! The latest Neon wallet updates supports the HashPuppies airdrop token!! Woo! Ethereions is reimbursing folks who may have gotten caught up in a crypto game ponzi with dragons! I just hatched my first Etherion and I have to admit, they’re pretty cute! Check out this reddit thread for more info. Crypto Hunt’s demo is dropping February 20th! This will make it the second crypto augmented reality project to go live, after takara. The beta version of Age of Rust is coming in two days! Wrap up your business, alpha players! 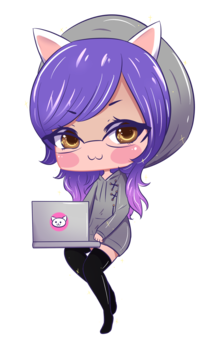 FluffyWiggle shares a game dev blog for us as she works on the Kawaii Crypto game! Yeah, CryptoZombies is an excellent project. They're doing great things! Kitties in augmented reality? What would you say to have one in reality ;) I just finished crypto kitty figurine and give it away so please check my recent post. I hope you will like it. Ma heart can't take it... Must... Solve... Puzzles !!! Just ordered home (I love 3DHubs, prototyping is much faster than waiting on someone over on MyMiniFactory to decide to test-print the model) a prototype CryptoHunt coin. If it's good, I'll adapt a model of it to be able to be used as a bottle opener ( member of CH's Telegram group had the idea XD ). I'm so excited for Crypto Hunt. I'm a huge fan of takara so this is pretty much the same thing but less open and more branded. I want those pixel pets so bad. They're cute, man.